Passionate about personal health, fitness, and teaching, these three interests conveniently transected into Dr. Ritenour’s dissertation. After her presentation, we talked to her further about how she came to choose this topic and what’s next for her scholarly research. Trident: You’ve researched subject matter that impacts a large percentage of the country’s population. How did you come to choose this as your dissertation topic? And why are you passionate about this subject matter? Dr. Cris Ritenour: My interest in fitness and wellness began as a young gymnast who desired to take the best possible care of her body. This passion for exercise and nutrition then continued through adulthood and lead me to my current profession as a Health and Physical Educator. My specific dissertation topic was chosen after Trident taught me how to review literature, collect data, and conduct research. I began with an area of interest (student BMI), read about causal and influential factors on BMI, investigated efforts taken to control the obesity epidemic, and then narrowed my field of study by data availability. Trident: As a teacher, what are some of the positive benefits you’ve witnessed among your own students? 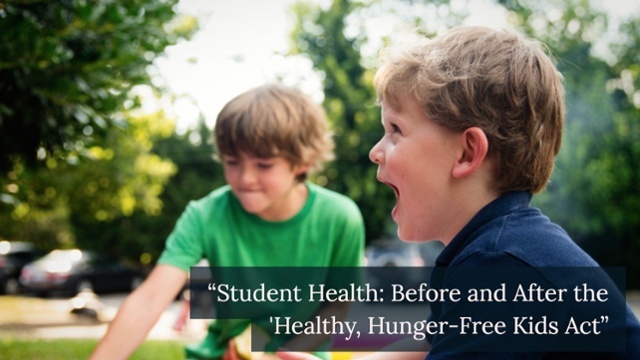 Dr. Cris Ritenour: When the “Healthy, Hunger Free Kids Act” was initially implemented, my personal fear was a decrease in the number of students purchasing a school lunch because of the palatability of the new foods (e.g. – most were displeased with the whole grains). Fortunately, lunch sales have increased at my district, as they have across the state of Pennsylvania. There has also been a decrease in student obesity. Trident: Have you decided how you are going to continue this research? Are there components that you would like research further? Dr. Cris Ritenour: My current plan is to analyze the longevity of the program by comparing data from 2008-2009 with data from 2017-2018 (five years post implementation). I have not yet contemplated additional components. With these changes in mind my future plan is to compare BMI data from 2008-2009 with data from 2017-2018 (five years post implementation) to see if student BMI percentiles continue shifting towards the “healthy” category and if lunch sales totals continue changing. After that, I would like to compare data from 2017-2018 to statistics a few years after the “flexibilities” were implemented. With these analyses, the longevity of the initial program could be evaluated along with the student BMI impact of whole grains, milk fat percentage, and sodium (as compared to the fruits, vegetables, and meats/meat alternatives). Dr. Cris Ritenour is a 2017 graduate of Trident’s Ph.D. in Health Sciences program. She is an educator who teaches health, human anatomy, exercise physiology, and physical education. 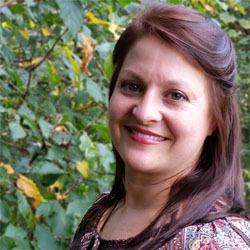 Along with teaching, she is a basic life support instructor for the American Heart Association, works privately as a certified personal trainer, and has retired from the Pennsylvania Department of Health where she worked as an emergency medical technician.